(1) Maintain the normal amount of oil in the fuel tank, the crusher allows the system to have enough oil for circulation cooling. (2) When the actuator is not working properly, the system should be unloaded in time. (3) Clean the cooling unit frequently to keep it in good working condition. (4) According to the working environment temperature, the crusher should use hydraulic oil of suitable viscosity: the ambient temperature is high, the viscosity oil should be selected, and the ambient temperature is low. Low viscosity oil should be used. When the crusher is at a normal ambient temperature, the gear pump should be 50 °C, 18—38pf/s oil. (5) When the temperature is high, the crusher machine can't run continuously for too long. The crusher usually has a continuous working time of 4 hours under the condition that the temperature is higher than 30 °C. (6) When the temperature is below 10 °C, the crusher should operate the system for no load for about 20 minutes to raise the oil temperature to the specified value. When performing operations such as excavation, turning, shoving, lifting, etc., the movement must be smooth and accurate, and the joystick should be retracted in time to avoid excessively fast, so as not to suddenly open or close the actuators such as hydraulic cylinders and hydraulic motors. When the oil outlet is opened, pressure shock occurs. The crusher causes accelerated damage of the oil seals, foaming of the high-pressure hose, loosening of the pipe joints, and even the overflow valve can be stuck due to the instantaneous opening. 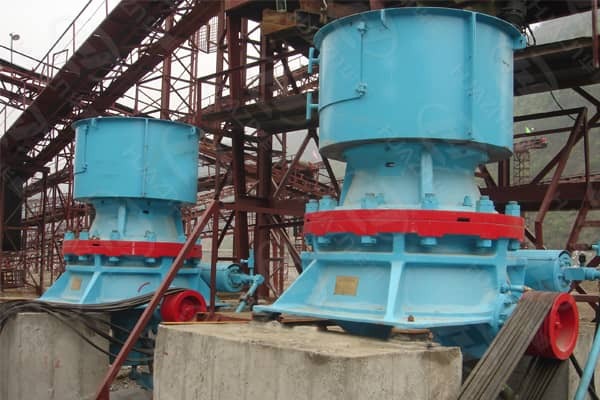 The internal leakage occurs, the crusher causes the work to be weak, the work efficiency is reduced, and the service life is shortened. Next Article: What are the Commonly Used Construction Waste Disposal Equipment?